6 Common Signs That Your Body Is In Ketosis (Good And Bad) #2 Is Shocking! I first learned about the “keto diet” not through weight loss, but through neuroscience. I was studying various conditions, mainly autism, before finding some interesting research on children suffering from epilepsy. Used as an alternative treatment since the 1920s, this type of diet has been shown to significantly reduce seizures in drug-resistant children. Today, this diet is much more commonly associated with weight loss. As fatty acids, ketogenic amino acids are broken down, ketone bodies are produced. In turn, this has a number of effects on your physical and mental wellbeing — which will be represented by a number of key symptoms. Since this biochemical process has been studied since the 1920s, there is a large amount of available research and data. Overall, the research does show that a ketogenic diet can effectively support weight loss and optimal health. By providing your body with a low-carb, high-fat diet, this will naturally raise the levels of ketones in your blood. This will cause your body to switch its main energy source from glucose to ketone bodies. The process itself generally takes two to four days of eating less than 20 to 50 grams of carbohydrates (however, some require an even more restricted intake in order to produce ketone bodies). From greater blood glucose control to reduced inflammation, this state is appealing to many people, including athletes. In one study, published in the Journal of the International Society of Sports Nutrition, it was found that all athletes increased their ability to use fat as a fuel source. Although there were less desirable outcomes in regards to performance, the athletes were keen to continue consuming a low-carb, high-fat diet based on the benefits they did experience. These included weight loss, higher energy (after feeling a short-term loss of energy), improved recovery, improvements in their skin health and reduced inflammation. 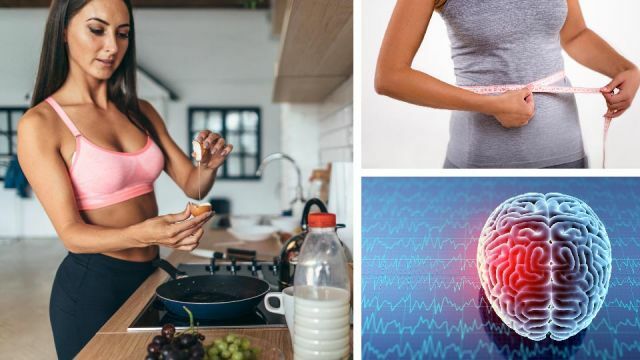 Typically recommended for individuals suffering from specific medical conditions, such as diabetes, fatty liver disease or obesity, ketogenic diets are now being explored as an option for healthy individuals (even though it is often challenging to sustain across time). Although reaching a ketogenic state can support optimal health and a healthy body weight, not all of the symptoms associated with this state will be positive. You will experience some side effects that are favorable, while others (generally in the short-term) are less ideal. Based on its presence in medical research, the ketogenic diet is not a fad or trend. Among those who have tried this diet, some of the most positive, beneficial signs of reaching a ketogenic state include the following. When switching your main energy source to fat, you will experience significant weight loss based on the way your body utilizes energy. In addition, by consuming a high intake of healthy fats and quality protein, you’ll eat fewer empty calories. A high-fat, low-carb diet also impacts insulin levels, altering the way in which the body stores fat. Once you get over the initial low-energy slump, being in a ketogenic state will actually result in higher energy levels. This is because when your body is relying on glucose, it can only store so much glycogen (making you reliant on a constant intake of fuel). Since your body has stored fat, you will always have an available source of energy between meals. While your body will experience a boost in energy, so will your mind. It is believed that when you switch to a ketogenic diet, you can significantly benefit your level of cognition. This makes sense, as the majority of our brain tissue is made up of fatty acids. Many will experience increased focus, improved memory and an overall increase in brain function. Researchers have also reported that a high-fat diet will reduce inflammation and oxidant production in the brain. This may further reduce signs of neurodegeneration. The worst and likely the most uncomfortable side effect will be what’s known as the “keto flu.” A lack of focus, feelings of nausea, insomnia and headaches are just a few symptoms you can expect. In some cases, this will last a couple of weeks. In addition, you may experience some or all of the following. As higher levels of ketones circulate in your blood, you will begin to excrete them in a number of ways. Your lungs will be one of those avenues, often excreting acetone. Although you may experience a “fruity” taste in your mouth, a diet that is very low in carbs tends to cause bad breath. Although many people experience a boost in energy levels once their body adjusts, during that adjustment period, fatigue is common. Your body is essentially trying to switch energy sources and at first, will not be as efficient in terms of maximizing the available sources of energy. From bloating to constipation, switching to a keto diet can be distressing on your digestive system. The reason for this is you’re likely not getting enough fiber in your diet. To combat this symptom, it is recommended that you drink plenty of water and consume more low-carb, high fiber veggies — a quality fiber supplement is also an option. Hey Buddy!, I found this information for you: "6 Common Signs That Your Body Is In Ketosis (Good And Bad)". Here is the website link: https://www.thealternativedaily.com/6-common-signs-that-your-body-is-in-ketosis-good-and-bad/. Thank you.